Gerrymandering originates with the state legislature. 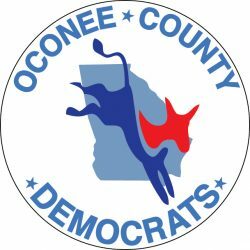 How do each of you evaluate the current state of gerrymandering of districts in the state of Georgia? 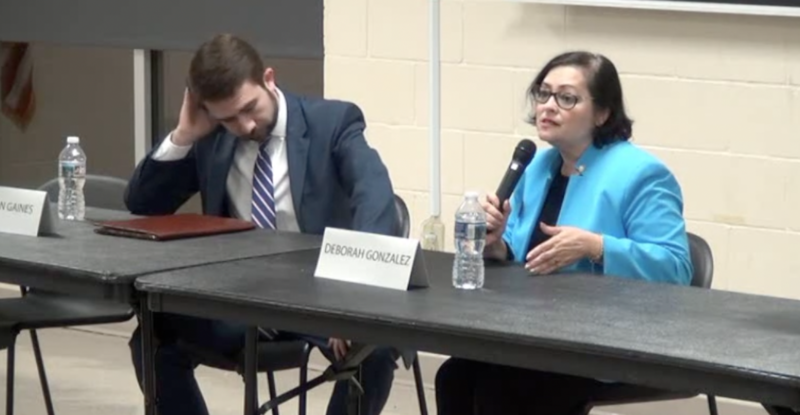 I wanted to ask a question about the recently-passed Campus Carry bill, which faced very strong opposition in this district, to the point that many of us in this district felt that we were not actually witnessing representative democracy when our representative voted on it. It looks like this law is going to be going through some changes over the coming years, and I’d like to hear your take on it. Houston, what did you learn from working with Mayor Denson, since she’s of the opposite party. And for Deborah, what did you learn from Regina Quick or someone else from the other party? There’s a statute on the Georgia books now, a law that protects all monuments in the state, including Confederate monuments. All monuments. Would you continue to support that statute, or would you try to change it in any way? On your first day in office, what is the first thing you’d be looking most forward to accomplishing, staying away from national issues? You mentioned Medicaid and health costs and stuff. For a country, and I guess Georgia, that spends so much money on health, why don’t we want everyone to have it? Why is it just concentrated so only a few people have good access to it? Tennessee and Florida are moving away from their income tax, for a sales tax. I’m interested to hear what your thoughts are on our taxation structures. I’d like to know how your present duties and responsibilities professionally translate into success in the state legislature. I’d like to know what each of you would to do protect agriculture in this county. How will you approach service in Atlanta, as far as taking your independent thinking with you but also representing the district which you will be sworn to represent, but also as far as working with your party caucus for the betterment of the district and of the state? Going back to the medical issue, what is your message to those in our district that are not able to work because they’re sick and do not have access to healthcare, to either get better and go back to work, or to get all the medical information that they need to apply for disability?